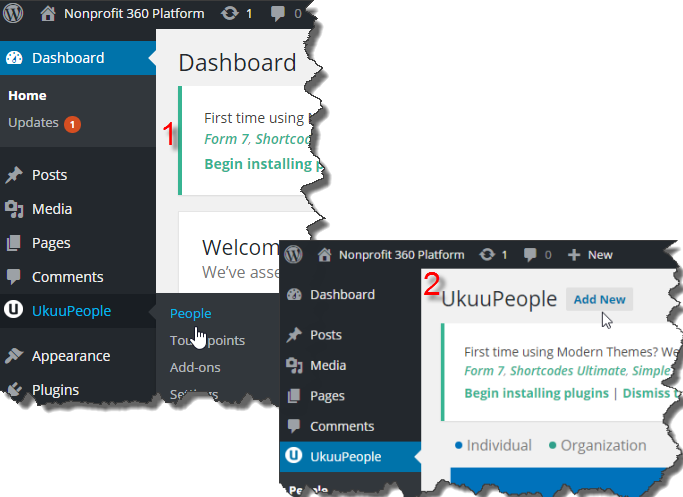 UkuuPeople-- the Simple CRM--has 4 basic dashboards. You will use the first two dashboards extensively as you go about your daily business. The last two are more for administrative purposes. Let’s take a quick look at the basic functionalities offered in each. To view and review your interactions, for an overall glimpse or to create a report based on certain filters, go to the Touchpoints Dashboard. 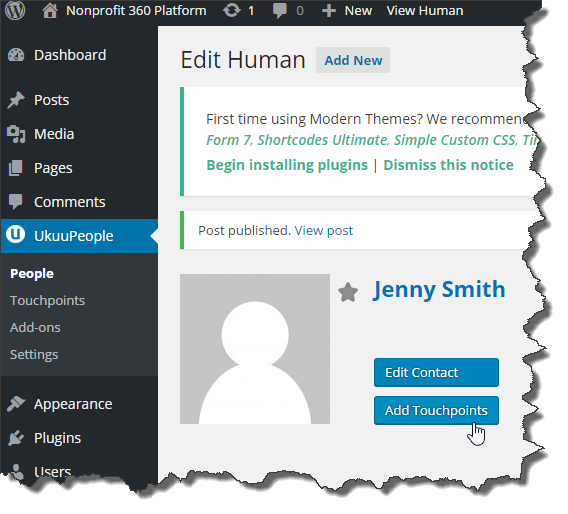 The 3rd dashboard option in UkuuPeople is the Add-ons Dashboard. These will “extend the awesomeness” of your UkuuPeople CRM by integrating with some best-loved data and communications apps, like Give, Mail Chimp, Gravity Forms, and CSV Import. If you use some of these apps in your business, you’ll definitely want to get the UkuuPeople Integrative Add-ons, so you can pull your data from them into UkuuPeople. The last dashboard is the Settings Dashboard. This also is administrative in its nature and displays three General Settings categories as well as Integrations and Licenses. Let's deal with the General Settings first. First is the Touchpoint Types. This category allows you to set up certain types of touchpoints--such as phone calls or meetings. Later, when you go to Add a Touchpoint for one of your Humans, you'll be able to choose what type of touch it will be, based on the items you set up here. Second is the Tribes category. This feature helps you group your relationships into categories for reports or targeted email blasts. Very helpful for those who sync with MailChimp. And now let's take a look at those other 2 tabs on the Settings Dashboard. 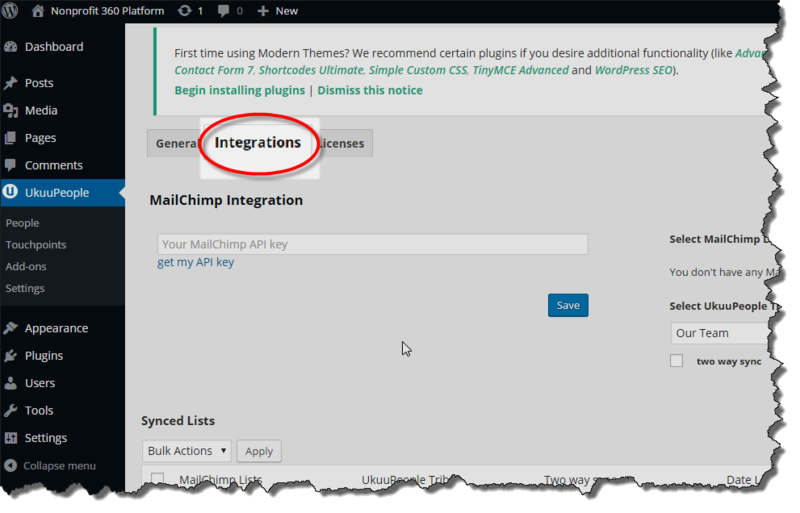 Integrations Settings will be used once you've chosen to integrate an app such as MailChimp by using one of our Add-ons. After installing the add-on, go to integrations and choose what data you will be syncing, etc. And then there's the Licences Tab. Go there to enter your licensing information. This will activate your licenses so that you can receive notifications about updates.